When scrolling through Twitter one day a quirky little company, called InnaBox, caught my eye. 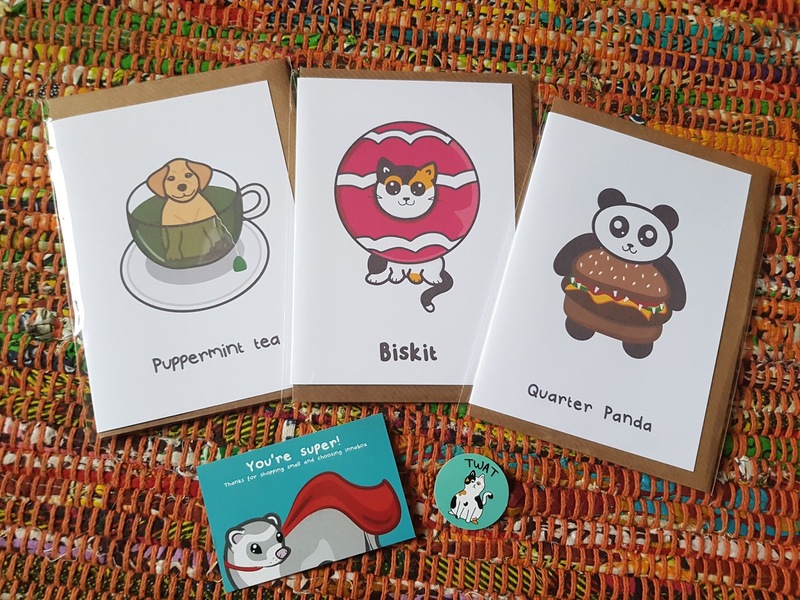 InnaBox is a colourful online shop created and owned by a lady called Nikky and is full of an array of fun designs that come in the form of mugs, pins and greetings cards. Today I'm going to show you a few pieces kindly gifted to me from Nikky and her InnaBox business. As you can see I chose these adorable little greeting cards. I chose these as I thought, for me, it would be something that I would be most likely to use. InnaBox have some amazing pins and badges but I felt like they were too cool and quirky for me and my plain jane style. These would however look amazing attached to a denim or leather jacket and I know some people that would absolutely rock that look. 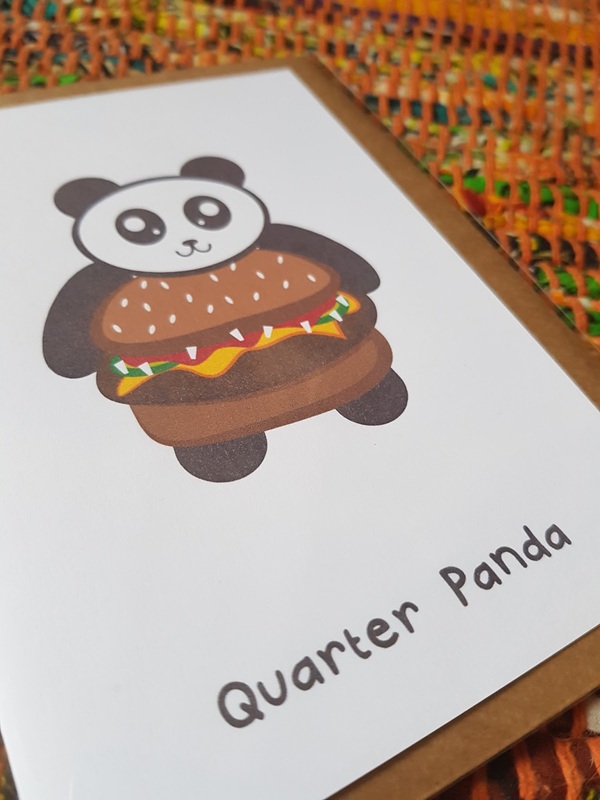 Back to the greeting cards, there are some really punny designs available which would suit a whole load of events and occasions. My favourite thing however is that they just make great 'notes'. A cute and funny way to tell a person, you love them, you miss them or even a way of thanking them for something. My InnaBox items came packaged very securely which I think is such an important factor to think of when ordering online. There was also an hilarious sticker inside the envelope that had my grinning from ear to ear when I saw it! 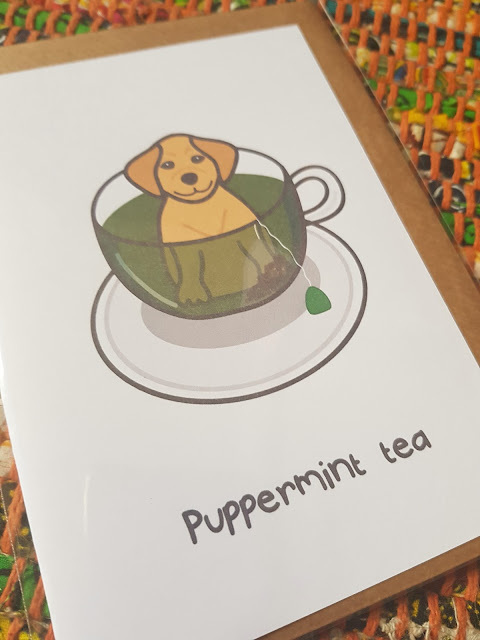 Something I will mention as well is how important it is to support small businesses these days - which is another reason I've been eyeing up more things available! I'm feeling a 'The Cat Made Me Do It' mug for sure! 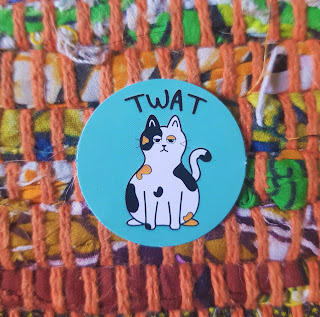 So, if funny, cute and relatable things take your fancy then I would 100% recommend a browse on InnaBox. Now, I just need to find someone to send cute little cards to!